When will be Cardinal next episode air date? 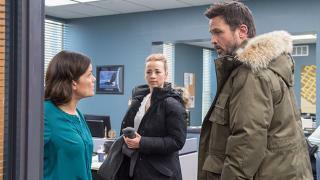 Is Cardinal renewed or cancelled? Where to countdown Cardinal air dates? Is Cardinal worth watching? Adapted from author Giles Blunt's award-winning "John Cardinal Mysteries" series, Cardinal is a six-episode dramatic thriller that follows Detective John Cardinal on a chilling hunt for a brutal killer in a small Northern Ontario town.Demoted for a hunch about a case that he wouldn't let go, Cardinal is brought back to the Homicide Unit when the body of missing 13-year-old Katie Pine is discovered, proving his instincts correct. Back on the case, his search for her murderer soon becomes an all-consuming race to stay ahead of a serial killer.Meanwhile, Cardinal must manage his own precarious family issues and secrets, and keep a watchful eye on his new partner, Detective Lise Delorme, who he believes may have her own secret agenda. 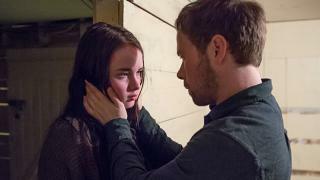 Cardinal next episode air date provides TVMaze for you. EpisoDate.com is your TV show guide to Countdown Cardinal Episode Air Dates and to stay in touch with Cardinal next episode Air Date and your others favorite TV Shows. Add the shows you like to a "Watchlist" and let the site take it from there.